Silver Lion head mini Planter. 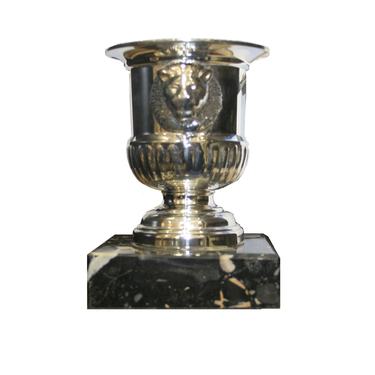 Silver plated mini planter with plastic insert on a black speckled marble base. Add a personalised touch with the addition of an engraving plate for the base.